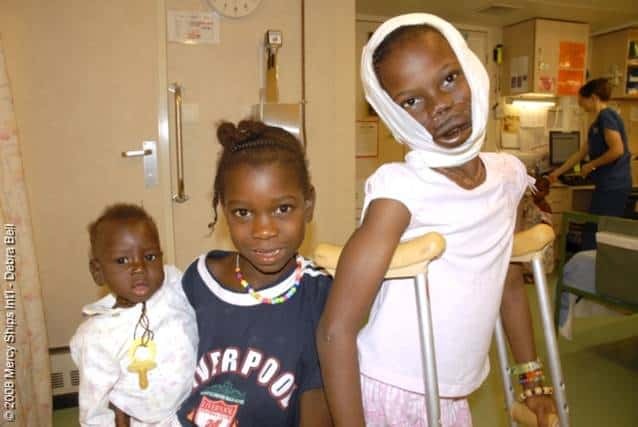 After Blessing fell into a ditch when she was walking home from school, her wounded leg rapidly became infected. The local hospital delivered a shocking diagnosis – it was the horrific flesh-eating bacteria noma. 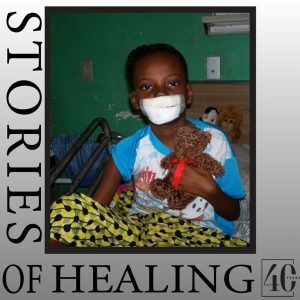 The infection that began in Blessing’s leg aggressively attacked her mouth and began to destroy the 9-year-old’s lips and nose, despite the penicillin she was prescribed at the local hospital. The medical team on the Anastasis managed to squeeze Blessing into an unexpected opening in the 2005 over-full surgical schedule – an answer to her mother’s prayers she said. The treatment she received halted the relentless infection, but not before it had severely disfigured her face. There’s something very special about the children of the Mercy Ships crew members, and the friendship they offer the kids recovering on the wards. It’s a beautiful dimension to hope and healing. 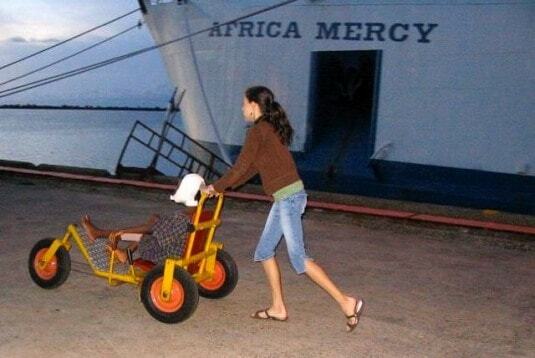 After the ship departed Liberia’s shores, Carys and her Mum kept in touch with Blessing and her Mum. A few years ago Blessing returned to the ship for surgery on her leg which had remained contracted still hindered her from walking, even so long after her initial injury. While she was on board Dr Gary, Cary’s Dad, did a follow-up surgery on her lips ‘Since she was hanging around and all,’ explains Carys. Finally, after years of dragging a crippled leg, Blessing had her knee joint straightened and reinforced. She was good to go, top to toe! 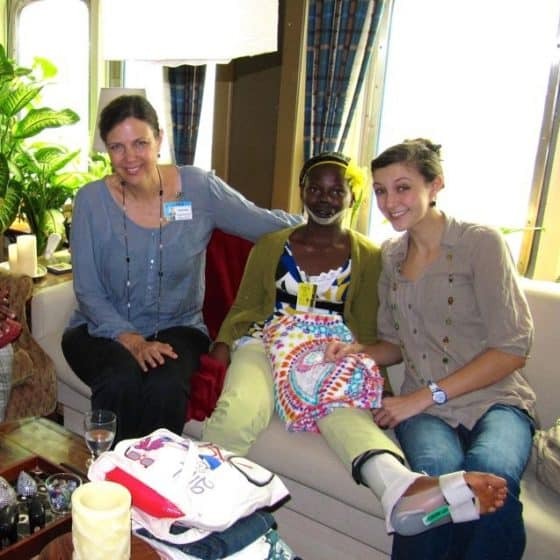 Carys lived on two Mercy Ships until she was 18 years old, and still visits her parents regularly. She says Blessing is one of the people who most impacted her life in all her years on board.